Organizations such as City Year, Girl Scouts of America, and Sierra Club are already seeing success with NGO Connect and more will be coming online in the coming months. Built in coordination with the roundCorner development team and leveraging the strengths of the Salesforce platform, NGO Connect has the ability to serve nonprofit organizations of various sizes, allowing them to utilize the features and functionality that fits their needs most effectively. This is the most recent announcement from the Salesforce Foundation and promises to send a ripple across the nonprofit technology ecosystem. 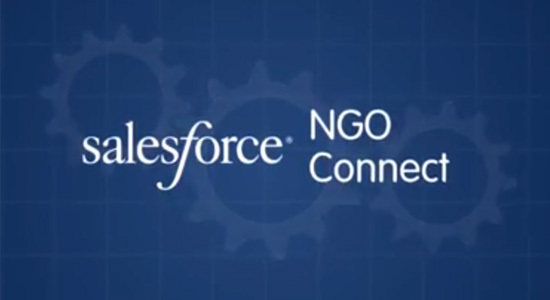 Find out more about NGO Connect in their demo video and register for the Salesforce Foundation worldwide virtual event on Tuesday, September 30th. Love seeing this investment in nonprofit technology. Huge deal for nonprofit constituent management. Big news! Looking forward to reading more about in the upcoming days. This is exciting. I’d love to see demos of what City Year and Girl Scouts are doing. This is definitely very exciting! I can’t wait to attend the webinar to learn more about how NGO Connect will help nonprofit organizations.